New to Henry but not to 30-30 and reloading for them. Moms old Marlin will eat just about anything fed to it. This Henry tho is quite picky. Thinking it has a very tight chamber that is sensitive to neck size and oal. Going to really scrub the chamber and throat tomorrow and maybe pick up some factory rounds. Anyone else have problems reloading for this cartridge??? 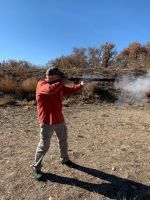 No experience with the 30-30, but many here love theirs. You will no doubt get some good ideas. Welcome from Nebraska! My favorite is the 357. 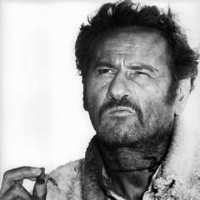 I shoot the steel carbine. Welcome from the Show-Me-State, Mtswampfox. Without a doubt you'll get some responses about your Henry .30-30. It's a great caliber. Glad you've joined the HRF....enjoy your Henry, and your time spent grazing the Forum "feed." Welcome to the forum from CT. You will be satisfied with that 30-30; Henry will make sure of it. Glad you joined us. Anyone else have problems reloading for this cartridge??? 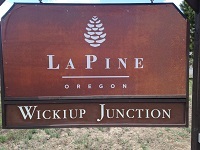 Welcome to the forum from Wickiup junction. Oregon. No problems reloading 30-30 but no experience with it in a Henry - all my 30-30s are Winchester! Welcome from Colorado glad you joined us. I have the Henry .30-30 H009 in Brass. Love it! Shoots factory .30-30 ammo just fine. But I like Federal Power Shok and Fusion the best. Welcome to the forum from the TV Oregon!